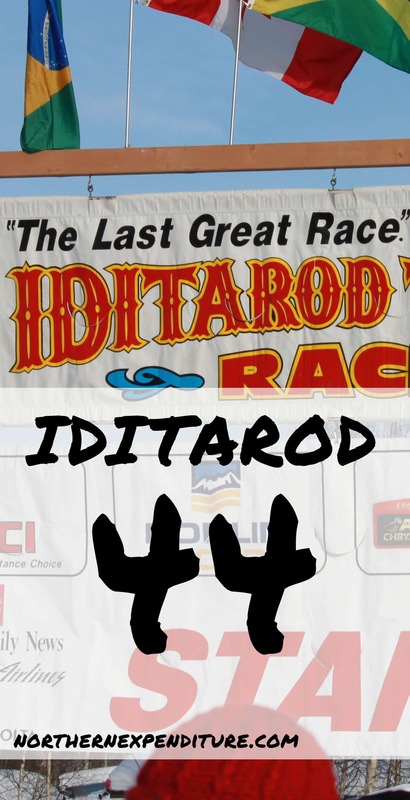 The Iditarod started yesterday and we wouldn’t be Alaskan if we didn’t talk about it. In truth, I love the Iditarod. 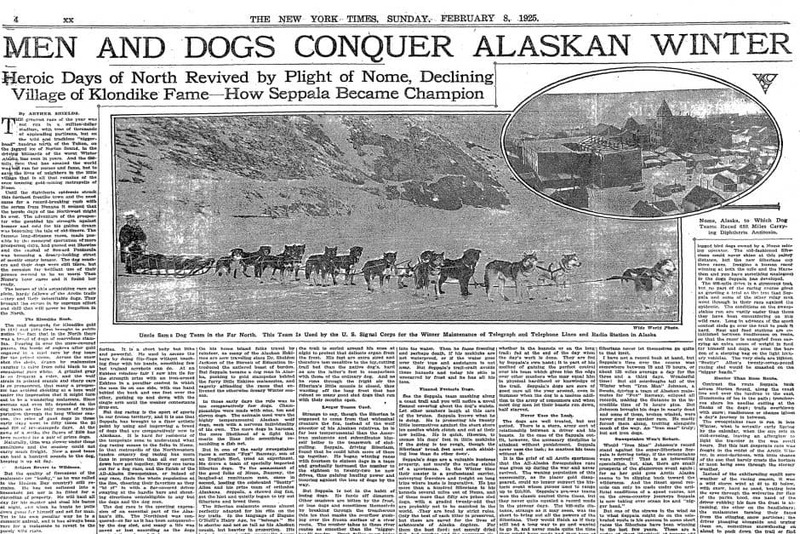 The Iditarod, in part, celebrates the great serum run of 1925. Nome was hit hard with diphtheria and needed medicine. Several dog teams set out in relay to deliver the needed medicine traveling hundreds of miles in horrible weather. Interestingly, several people were in the “Send an airplane!” camp, but winter air travel had not yet been deemed safe in Alaska. It was also a struggle to find a qualified pilot and an airplane capable of tackling the journey. In the end, hero dog, Balto, and his team reached Nome on February 2, 1925 and a second delivery followed by dogsled on February 15. Mushing is the official sport of Alaska and the Iditarod is the Olympics of mushing. On Saturday, all the teams start the race downtown Anchorage in what is called the “ceremonial start.” Basically, they pretend they’re racing for a couple of miles through town, everyone cheers, and then they pack up their dogs and drive two hours north to Willow where the real race begins on Sunday morning. This year, our complete lack of snow required snow to be hauled in by train from Fairbanks for the ceremonial start. We take the Iditarod very seriously! #2 starts the race (Bib #1 goes to an honorary musher in a sled driven by the reigning Junior Iditarod champion for the ceremonial start) – this year, bib #2 is the “Mushing Mortician,” Scott Janssen. $888,019 – Total Lifetime Iditarod Earnings of Jeff King, largest earner in this year’s race. $750,000 – Purse to be shared among the top 30 finishers. $1,049 – amount each finisher placing 31 or higher earns for finishing the race (symbolic of the 1049 miles from Anchorage to Nome). And, they’re off! On their way to Nome! Track the current standings. Although I’ve been to Alaska a few times, they’re all during summer. Boy I have much to learn about Alaska and what people do during winter time up there. I never knew the history of the race. Very interesting! I had no idea about the serum run and backstory though, thanks for sharing! You’re welcome. My MIL loves the Iditarod too and usually comes up for it every year. Fascinating! I did not know the irigin of the race. Being a medical feel I think it makes me like it even more! Ugh- medical geek. What is it with me and typos today?! You’re good! I love the Iditarod. Such a celebration of uniquely Alaskan living. Medical access in the Bush is still a big problem. Alaska is among the leaders in telemedicine use and advancements. That’s awesome. We totally did it in sixth grade and my teacher said I sounded a lot like the foghorn. 🙂 Hmmm… I guess I’ve always been loud. Such a great event! When my son was little we watched the “Balto” animated feature and later saw the Balto memorial in NYC Central Park. Not sure why that is in NYC, but my son was excited to have his picture taken. Oh my gosh, even reading the word “Nome” gives me a tiny emotional gut-punch — I have such strong memories of reading the story of Balto as a child/adolescent and crying every single time because he was so brave and saved all the sick children.